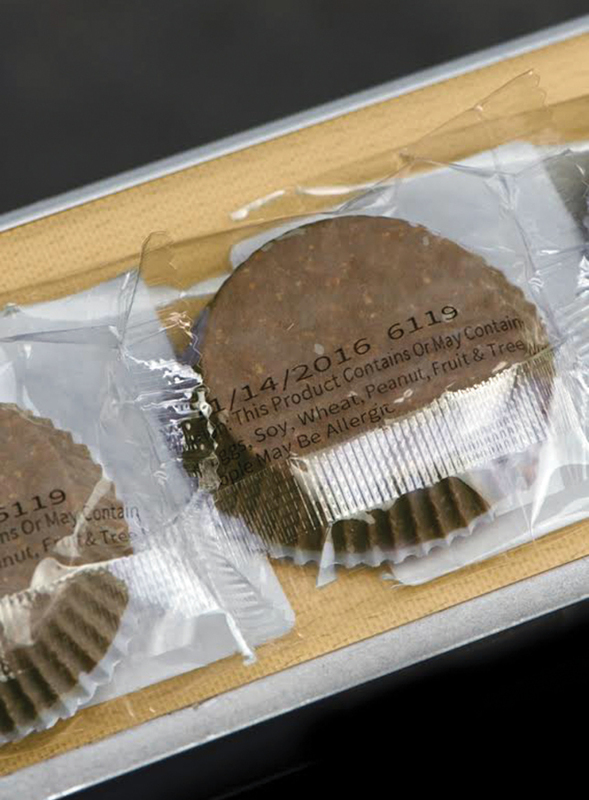 Date codes and allergen info are printed on the packaging films with quick-dry, smudge-resistant ink. Packaging World recently explored how Redimark helped Valos Chocolates improve their date coding in a production environment with a vast number of SKU’s and frequent production line changeover. Easy to self-install, cost-effective, cartridge-based, small-character ink-jet printer offers coding operations flexibility and independence. Valos Chocolates, based in Arnold, PA, produces more than 500 varieties of chocolates and has been offering its high-quality products since 1947. These products are marketed in a broad range of packaging types/sizes and require coding versatility. 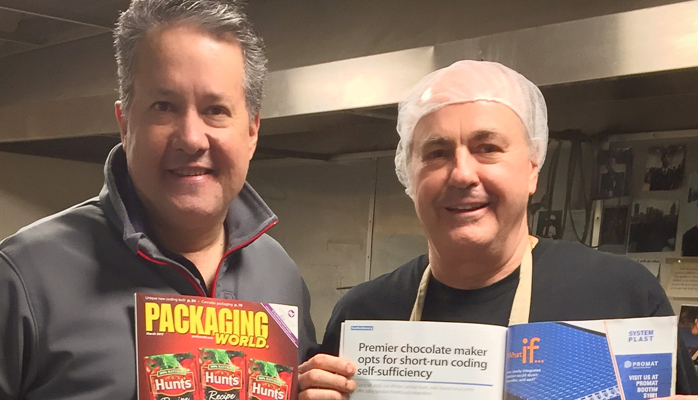 After researching various new coding options, Valos Chocolates decided to try a new approach, especially to accommodate short runs. Instead of purchasing more traditional continuous ink-jet printing equipment that needed supplier-assisted installation and regular supplier maintenance, the chocolate maker made an on-line purchase of a cartridge-based thermal ink-jet small-character printer with touch-screen tablet controller that they could install and maintain themselves. 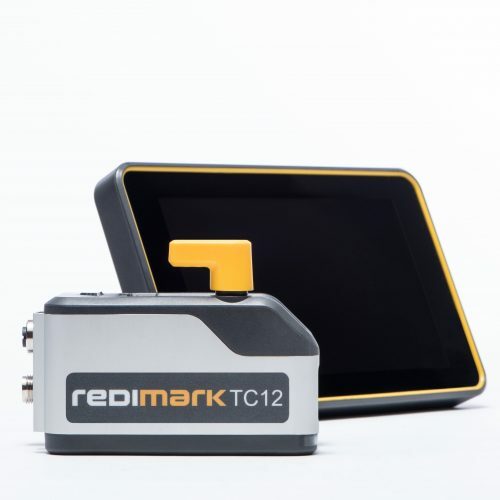 The TC12 on-demand marking and coding system from Redimark has an introductory price of $1,495, considerably less than most continuous ink-jet systems. The transaction involved no supplier company sales staff or technicians. The printer can accommodate a range of substrates and delivers character heights up to ½”. Purchased and installed in the Summer of 2016, the intermittent-motion TC12 is mounted on a Model 101 flow wrapper from Bosch and is being used to code confectionery products that are wrapped in polypropylene film. The PP film supplier is Multi-Plastics, Inc., Lewis Center, OH. Valos wraps a variety of package sizes and prints date codes and allergen information on the film. The printer is capable of delivering print heights up to ½” at maximum speeds of 400 fpm. Packaging World article can be viewed here.